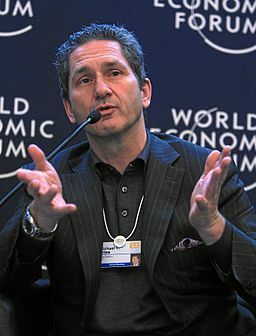 Liberty Global, one of the world’s largest cable and broadband providers, has been rapidly expanding in recent years. Now, after a $5 billion USD takeover of the rival Cable and Wireless Communications, the London-based giant is acquiring a larger footprint in the Caribbean and Latin America. In addition to its current operations in Colombia and Peru, Liberty is gaining sizable market share in Chile and Puerto Rico. 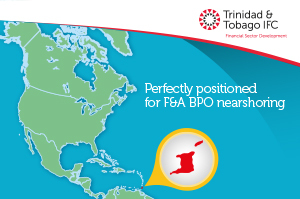 The move also adds adds FLOW (a major cable and broadband provider throughout the Caribbean), BTC (a large telecom in the Bahamas), and Cable and Wireless Panama to the company’s portfolio. Overall, some 11% of Liberty’s valuation now resides in Latin America and the Caribbean, according to Bloomberg. The company, which has $18.4 billion in revenue and employs 37,000 people worldwide, says it is planning for more growth in the region. “If we look at mobile data penetration, or broadband data penetration, or pay TV penetration, or smartphone penetration in Latin America and the Caribbean and we compare it to the US and Europe, it’s clear that there’s a great opportunity to bring investments and innovation to this region of the world and we’re excited to do that,” said Fries. An analysis by Bloomberg tech columnist Leila Abboud says that Liberty won’t have it as easy in the Americas as it has in Europe, however. Due to the dominance of Mexican billionaire Carlos Slim’s América Móvil and Telefonica, competition will be fierce. Political risks are also more difficult to navigate on this side of the pond, while making back investments takes longer due to the lower per-capita incomes and ICT-related expenditures in the region. Instead, she sees Liberty pushing for organic growth and making additional deals. Then in time, she expects it to start spinning off assets in Latin America in a move that could start to remake the broadband and cable landscape in some countries as other players look to expand. The sale of Cable and Wireless Communications (CWC) also has local ramifications in Trinidad and Tobago. As a condition of CWC’s $3 billion USD acquisition of Columbus International (which operated FLOW) in 2014, regulators mandated that it had to divest its 49% stake in Telecommunications Services of Trinidad and Tobago (TSTT), a major telco based in Port of Spain and jointly owned by the government of Trinidad and Tobago. The company has so far not been able to find a taker, however. But CWC’s interim CEO John Reid stressed on a media call that the company’s inability to meet its earlier regulatory requirement would not stall or otherwise impact the merger with Liberty.